Looks like the Sidebar in Dayton is closed, and is looking for a new place in Dayton to open up. Do you think another business will come into that space? The other day we were able to get our hands on a couple new bags of chips that Mikesell's is putting out this summer. Their new chips are called Sweet Chili and Tuscan Spice. So my wife and I tried them just before lunch to see how they taste. Let's start with the Tuscan Spice, you can definitely taste the rosemary with a hint of sun dried tomato. These chips are not a groove type of chip. They have a good hearty crunch to them and best of all they are reduced fat. The next chip we tried were my favorite of the two. Sweet Chili, which are made with sweet chili peppers and sour cream. These chips are a groove type of chip. They really have a good spicy kick so if you are thinking they are going to be less spicy because it says sweet, you would be wrong. 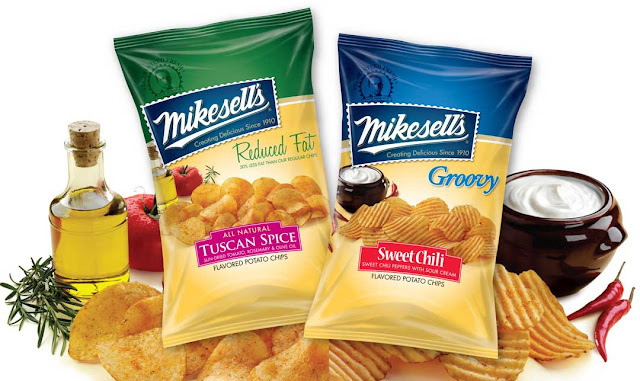 If your looking for some new flavors of chips this summer I would recommend picking up some Mikesell's. Now open! The new Scene 75 entertainment complex looks to be a great addition to Dayton. They are now open according to their site. If you go there come back to Renew Dayton and let us know what you think in the comments. One of the attractions. Mini bowling.